DUNCANVILLE—“I do not want to talk about last week’s game, nor do I wish to discuss next week’s game. 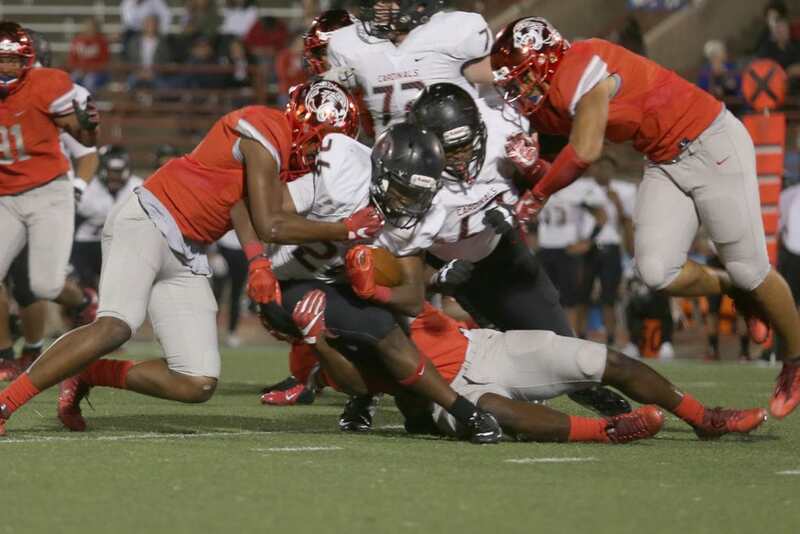 I am focused entirely on tonight’s game,” said Duncanville Head Coach Reginald Samples. 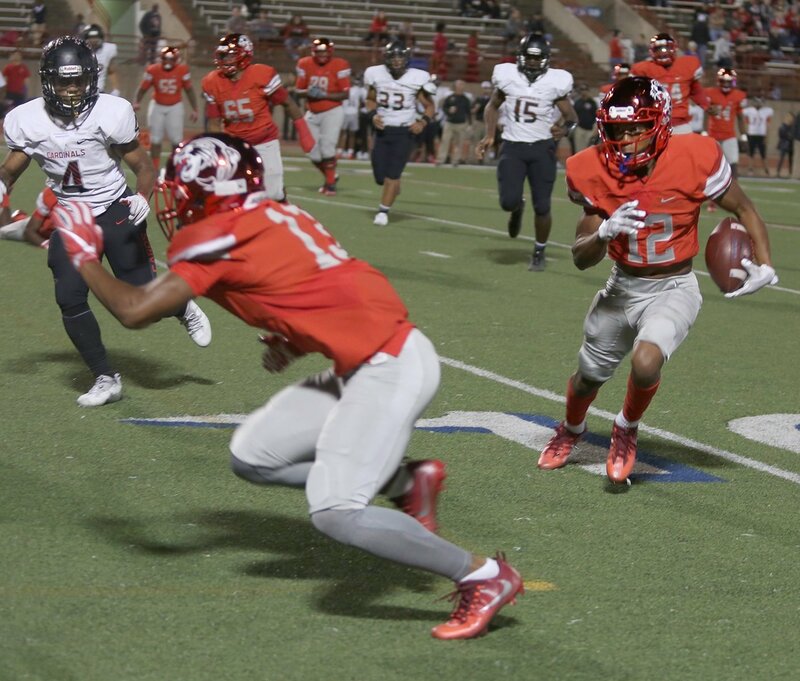 “MacArthur is strong defensively and their quarterback moves and passes well. That will be our focus. Ja’Quinden Jackson will start at quarterback for us. Trazon Connley is still out with a head injury sustained from last week’s game,” he concluded. 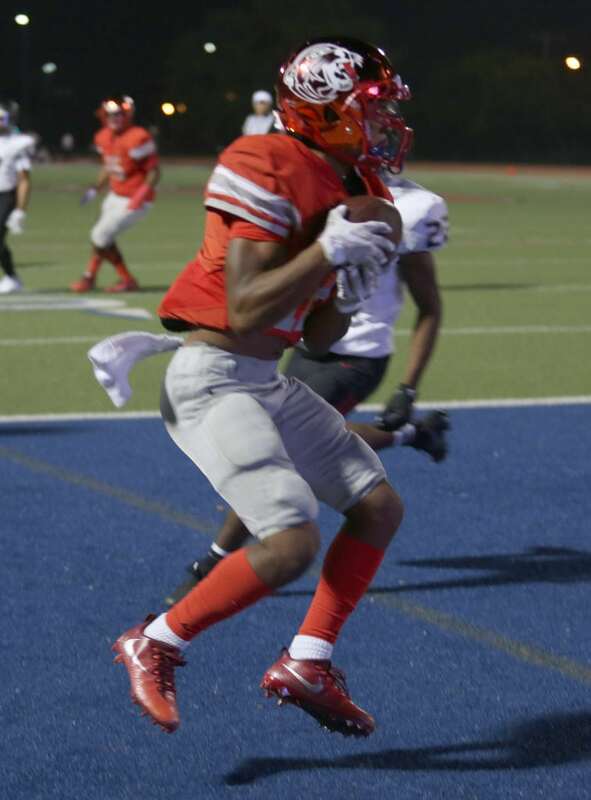 Duncanville seemed to be able to do offensively just about whatever they wanted to in Friday night’s game against MacArthur. In the first quarter on their first five possessions Duncanville scored three touchdowns and led 21-0. A 54-yard punt return set the Panthers up on MacArthur’s 10-yard line and an immediate score by Jackson from the 1. PAT was good by Josh Delgado as were all the other 7 scores. Jackson scored his second touchdown of the quarter on a 39-yard run with 5:58 left on the first period clock. His third score came with 3:32 left in the period on 4-yard run. The touchdwon was set up by a 12-yard run off tackle by Karien Howard. The period ended 21-0 Duncanville. Jackson had 7-78 on the ground for three scores and 4-7-95 in the air for two touchdowns. MacArthur was held to a total 22 offensive yards. They fumbled four times and lost two. They rarely got beyond their own red zone. The Panthers blitzed at will, rarely allowing the quarterback to stay in the pocket or to even throw on the run. Every offensive player near the ball was hit and the ball carrier was dealt with savagely. Gang tackling was popular, with the one tackled often slow to rise. By the end of the second period the MacArthur players were pretty much winded and dreading a return to the field. Duncanville scored twice in the third. The first time with less than a minute off the clock on Karlen Howard’s 6-yard pass from Jackson and another 37 yard pass from Derrick Cooper a few minutes later. Duncanville led 49-0 at the end of the third. Duncanville scored its last touchdown on a 2-yard run by Junior Jaelyn Walker. Final: Duncanville 56 MacArthur 0. Duncanville had a total 39-209 rushing yards and 190 yards in the air. Karien Walker had 4-71 yards receiving and Bryce Walker 1-63 yards. The win keeps Duncanville ranked #2 in SportsDay area rankings and #6 in the state. Their 9-0 record for the year clinches the District 7-6A championship.